Mother’s Day is the second Sunday in May, however mom deserves to be celebrated more than one day a year. 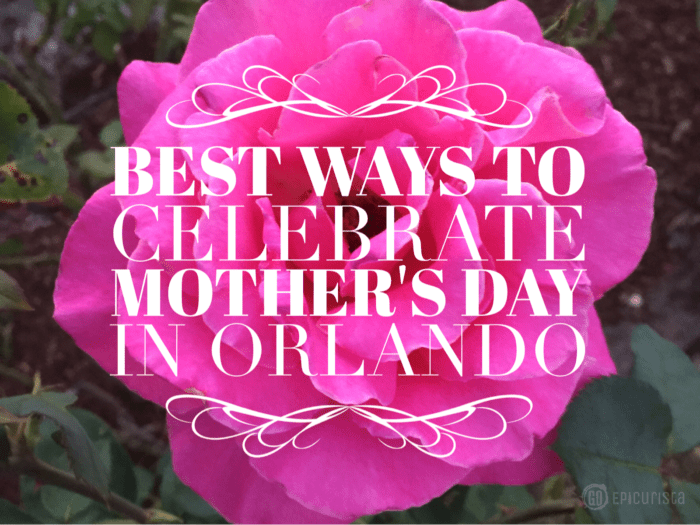 There’s a plethora of fun events and places to celebrate Mother’s Day in Orlando, you can make it a week-long celebration of the woman that makes it all happen 365 days a year. It’s your turn to give mom what she really loves: fun times, great food and lasting memories. Based on the vast number of special Mother’s Day brunches available, brunch must be mom’s favorite meal and the most popular way to celebrate Mother’s Day. Not surprising, as it is a great experience for the whole family. Several Orlando resorts and restaurants know how to do brunch best. Check out my Best Easter Brunch in Orlando list as these popular spots have equally nice brunches for Mother’s Day. How about making it an extra special day by combining an amazing brunch with a day of pampering and relaxation? Beautiful resorts around town are offering incredible brunch buffets plus world-class spas for the perfect celebration mom deserves. Some are even offering hotel accommodations to make it a full weekend of relaxation and fun. Orlando’s only Five Diamond resort offers two fantastic brunch celebrations for Mother’s Day. At Ravello, the Resort’s modern Italian restaurant’s decadent buffet, guests will enjoy a scrumptious array of seafood, including oysters, calamari, frutti di mare with scallops, sushi and lobster salad. The antipasti selection, herb-crusted prime rib, leg of lamb with mint pesto, and the orange-glazed spiral ham with ginger-peach sauce are to die for! 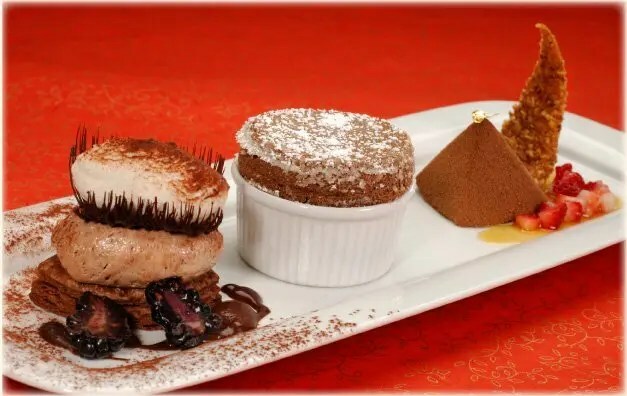 For those who prefer more traditional brunch items, omelet and crepe stations, egg white frittata pizzaiola, croque madame and many additional breakfast favourites are offered. A children’s buffet is offered with lots of kid favorites. Reservations available from 11:00 am to 6:00 pm. Plancha, the Resort’s Cuban-American restaurant located at the Tranquilo Golf Clubhouse, also offers a wonderful Sunday brunch. Endless Bloody Marys and Mimosas are included the three-course brunch. The menu offers buffet selection of artisanal cheeses and charcuterie, fresh fruits, a bagel station, breakfast pastries, assorted salads and more as well as a choice of entree. The chicken and white cheddar waffles and eggs Benedict with truffle hollandaise are winners! Plancha brunch is offered every Sunday from 10:00 am to 3:00 pm. You can read more about the fantastic brunch at Plancha in my review. 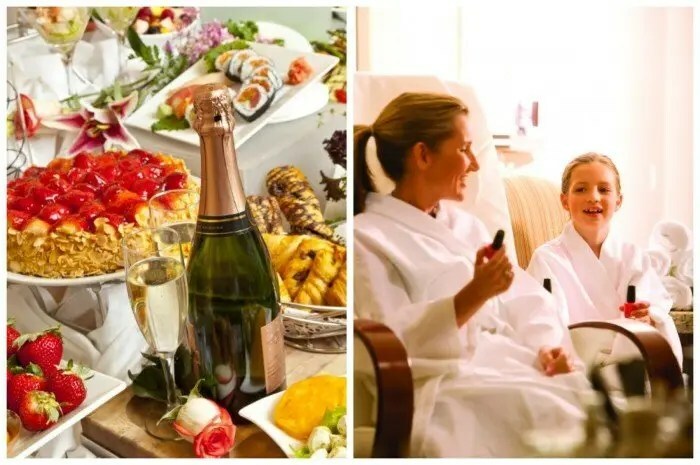 Mothers will feel like royalty when welcomed at The Spa with a complimentary glass of prosecco, given to all moms arriving for their treatment. Pamper Mom with one of the Resort’s exclusive treatments including the Sticks and Stones Massage, La Floridian body wrap with whipped shea butter and pink grapefruit crème, or the Signature Radiance Facial that combines a variety of botanical extracts and natural fruit acids to improve tone and texture. With any treatment, mothers will have the choice of a complimentary enhancement such as hand or foot paraffin, scalp massage, exfoliation and many others. For non-Resort guests who experience 80-minute treatments, day access to the Resort pools is included, so Mom can enjoy an entire day of ultimate relaxation. For Mother’s Day dining reservations at Ravello or Plancha, or for Spa appointments, call 407 313 6868. For more information, visit their website. Dine at Fiorenzo Italian Steakhouse for their Sunday Brunch buffet featuring a full spread of mom’s favorites including sparkling wine. Then treat mom to a relaxing massage, facial or Mommy and Me Pedicure. Located at 9801 International Drive, Orlando FL 32819 (formerly Peabody Hotel). For dining reservations call 407-345-4570, for spa reservations call 407-345-4431. More information click here. Enjoy a sumptuous brunch buffet in Trattoria del Porto, where in addition to their extensive menu you can enjoy live jazz. Then head over to their Mandara Spa for one of their exclusive treatments. Loews Portofino Bay is located at 5601 Universal Blvd, Orlando FL 32819, 407-503-1244. For more information click here. The luxurious properties of Rosen Shingle Creek Resort and Rosen Centre Hotel are celebrating mom with the perfect weekend getaway deal. Their MOMS (Make Our Mom Smile) packages includes special discounts and amenities in beautiful accommodations. Enjoy their extensive holiday brunch, one of the top holiday brunches and the best value in Orlando, in Café Osceola at Rosen Shingle Creek and Café Gauguin at Rosen Centre. Each property features their own world-class spa to pamper mom with a variety of relaxing services and treatments including The Pampered Mom Package or Mom & Me Package. At The Spa at Shingle Creek you will receive 25% discount and at The Spa at Rosen Centre you will receive a buy one select service and get the second one free. Rosen Shingle Creek located at 9939 Universal Blvd, Orlando FL 32819, 407-996-9939 and Rosen Centre Hotel located at 9840 International Drive, Orlando FL 32819, 407-996-9840. Wow mom with an out-of-this-world dining experience at these award-winning restaurants and celebrate Mother’s Day like a foodie. It will be a meal she will not soon forget. Voted “Best Place to Celebrate”, “Best Chef’s Table”, “Best Chef” and “Best Restaurant” by Orlando Magazine, you can bet mom will be impressed. The Chef’s Table at The Edgewater is offering a special 3-course New Orleans style brunch on Sunday, starting at 11:30am. Friday and Saturday evenings their regular 3-course dinner menu with optional wine pairings starting at 5:30pm and on Sunday, their regular dinner menu seatings will start at 4:30pm. Reservations are required. Located at 99 W. Plant St, Winter Garden, FL 407-230-4837. Click here for more info. Formerly known as Del Frisco’s, this local, family owned restaurant has been wowing customers for over 20 years. Although they are closed on Sundays, I am including them in this list because dinner there on Friday or Saturday evening would surely make mom feel special. The cuisine is everything you would expect from a top-notch steakhouse with prime-aged steaks and fresh seafood, but the people who work there are what truly elevates the experience. Their warm hospitality will make you feel as if you are dining in their own home. Carole, David and Alice Christner have a true gem of a restaurant that is perfect for any special celebration (no surprise they received this award from Orlando Magazine). Inquire about their special private rooms. Reservations are recommended. Located at 729 Lee Road, Orlando FL, 407-645-4443. click here for more info. The awards of this local culinary superstar are too many to mention. They have received the AAA Five-Diamond award for over 20 years in a row, the only restaurant in Central Florida and one of only 15 restaurants in North America to have this distinction. It’s no surprise it was voted the restaurant “Most are Dying to Visit” according to Orlando Magazine. 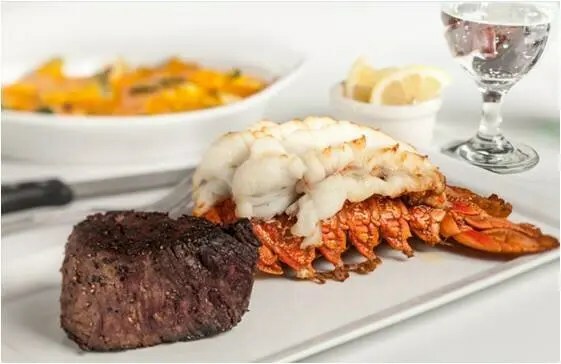 It is my pick for best place to splurge in Orlando as it is the most luxurious and over the top dining experience you will find in Central Florida. Doesn’t Mom deserve that kind of attention? James Beard nominee, Executive Chef Scott Hunnel provides a 6 or 10 course menu of fresh seasonal ingredients with optional wine pairings, that is a culinary masterpiece. Reservations are required. Located at Disney’s Grand Floridian Resort, Walt Disney World Resort 407-939-3862. Click here for more info. 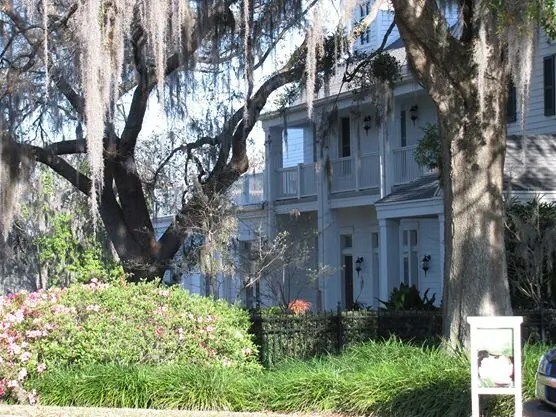 If mom loves art, celebrate Mother’s Day early by spending a lovely evening strolling the streets of these picturesque neighborhoods, enjoying local artists work on display and sipping wine. Afterwards, you can enjoy dinner at one of the local eateries. On the second Thursday of the month from 6:30pm-9:30pm, enjoy art, shopping, sipping wine, dining and cosmopolitan fun. It’s Free to enjoy works of art along the street and inside local businesses. A wrist band is available for wine pours at various locations. Located at Summerlin Avenue and Washington Street. Click here for more info. Afterwards, why not have dinner at local favorite SoCo with award-winning Chef Greg Richie, Shari Sushi & Lounge or Maxine’s on Shine. On the second Thursday of the month, from 5pm, celebrate at Central Florida’s largest street party with live music, local artists, food and beverage samplings. Located at 230 E. First St, Sanford. For more info, click here. Dinner at The Tennessee Truffle or Smiling Bison afterwards is highly recommended. How about a relaxing celebration outdoors enjoying a picnic, live concert or movie in one of our beautiful parks? It’s a great way to celebrate Mother’s Day and spend quality time with the family. On Wednesdays at 8pm, bring a picnic or pick up a delicious dinner at one of the many eateries along Park Avenue and catch a family film under the stars. This free event is produced by Enzian Theater weather permitting. Located at Central Park, 251 S.Park Avenue, Winter Park. For more info, click here. On Saturday, 8pm, enjoy a free showing of a family film in the beautiful Cranes Roost Park in Uptown Altamonte. Food and beverage available for purchase. Located at 274 Cranes Roost Blvd, Altamonte Springs. For more info, click here. Enjoy a delightful Carillon concert, purchase beautiful plants at their special mother’s day plant sale. Free admission for mothers. Located at 1151 Tower Blvd, Lake Wales. For more info, click here. On Sunday, 9am-5pm, enjoy a stroll through this beautiful 50 acres of gardens and Florida’s largest rose garden, butterfly garden and historic Leu House Museum. Free admission for mothers. Located at 1920 N. Forest Ave, Orlando. For more info, click here. Disney knows how to wow with their beautiful gardens and character topiaries. Enjoy a fun concert by music legends of yesterday and today and Outdoor Kitchen food pavilions with various food and beverage tastings. Located at Epcot, Walt Disney World Resort. For more info, click here. Celebrate Mother’s Day in Orlando with a quiet afternoon enjoying a nice cup of tea, finger sandwiches and sweet treats in one of these lovely places. I’m certain it would make mom very happy, and you can show her that you were paying attention when she tried to teach you etiquette. Is it pinkies up or down? This little hidden gem of a tea room is a local favorite in College Park. Voted Best Vegetarian Food in Orlando It’s not fancy but their tea selection, savory finger sandwiches, scones, sweet treats and gelato are enough to make mom happy. Located at 1600 Edgewater Dr, Orlando, FL. For more info, click here. This traditional English tea is a delectable treat with the Disney touch, includes a selection of international teas, sandwiches, cakes and dessert specialties. A variety of tea menus available. Service between 2pm-5pm, reservations are recommended. Starting at 3pm, enjoy piano entertainment from the lobby. For more info, click here. Afternoon Tea at The Ritz is a time-honored tradition that must be experienced in the luxurious Lobby Lounge. Reservations required 407-393-4648. Click here for more info. The team of the Waldorf Astoria Orlando located in Bonnet Creek truly dazzles with their Afternoon Royal Tea experience in Peacock Alley. Savor premium teas from gorgeous peacock feather styled tea cups while noshing on delicate tea sandwiches, scones, tarts and tea cookies all while listening to live piano music. A glass of champagne is a must for a “Grand Royal Tea.” Sundays from 2pm – 4pm. Advance reservations required. Call 407-597-5450. For more information click here. 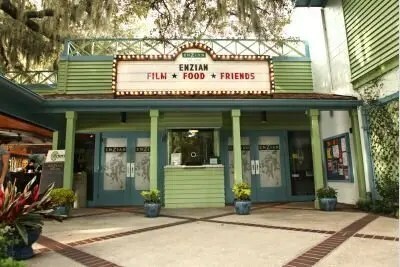 On Sunday, starting at 11am, celebrate Mother’s Day at local independent movie theater, Enzian Theater as they host their special Mother’s Day Brunch and screening of a classic film. Enjoy one complimentary mimosa, live music and a delicious brunch buffet. You may also reserve a VIP Table for Two or Table for Four including admission, brunch buffet, reserved table, unlimited champagne and mimosas, and a gift from Peterbrooke Chocolatier. Click here for more info. 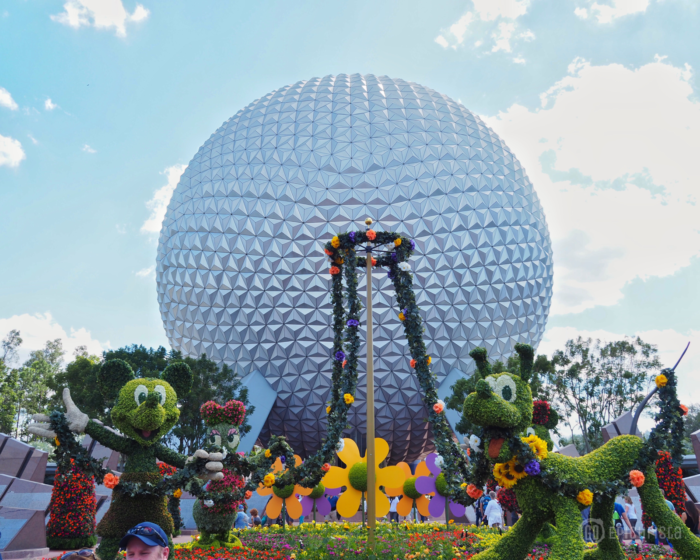 Take mom out for dinner and a world-class show to celebrate Mother’s Day in Orlando, whether she likes lively musicals or classical music, one of these shows will truly delight. The Orlando Philharmonic is Central Florida’s resident professional orchestra, composed of accomplished musicians recruited from around the world. Whether you’re moved by the drama of opera, the colossal sound of a Romantic symphony, or the high energy of a rock & roll tribute, the Philharmonic has something for you. Check their calendar of events for more info. Combine a show with dinner at nearby The Rusty Spoon, one of Orlando’s best restaurants. The rustic cuisine of Chef Kathleen Blake will make you feel like you are enjoying a home-cooked meal except mom doesn’t have to cook or do dishes. The Rusty Spoon is located at 55 W. Church St, Orlando. If mom loves live theater and musicals, the Garden Theatre is a wonderful choice. Located at 160 W Plant St, Winter Garden. Click here for schedule. Combine this show with an amazing dinner at Chef’s Table at The Edgewater located just down the street and you will treat mom to the most fun outing ever. This gorgeous, multi-million dollar new performing arts center, located in Downtown Orlando, hosts world-class Broadway shows and concerts, perfect to treat mom. Check here for schedule of events. Pair it with dinner at nearby The Boheme at Grand Bohemian Hotel and mom will truly be impressed. If mom is the active type, a fun 5K run/walk is a great way for the entire family to celebrate Mother’ Day in Orlando and spend quality time with mom. Afterwards, you can go out and enjoy a truly decadent meal without any of the guilt. Click here to see a list of current races in the area. Special charity events will not only delight foodie moms with amazing food and drinks but will also make her feel good as they are benefiting special causes in Central Florida. This is a feel-good way to Celebrate Mother’s Day in Orlando. This touching gala benefiting Pediatric Oncology programs at Arnold Palmer Hospital for Children, Florida Hospital for Children and Nemours Children’s Hospital takes place at Rosen Shingle Creek, located 9939 Universal Blvd Orlando FL. Click here for more info. Please share in the comments below where you plan to celebrate Mother’s Day in Orlando or wherever you are. I wish you a memorable and delicious affair with mom! Christina, I’m always wishing to be in Orlando, but this post in particular almost has me buying a plane ticket!! What a fantastic resource you are to those in the area! I will keep an eye on your posts, if only to dream a little until I visit again!! Thank you so much for checking out goEpicurista! Continue to dream of Orlando and come out and visit soon! I promise more fun stuff and lots of celebrations of great food and wine! Cheers!